The MAMAs honors outstanding achievements in music for those artists who choose to become members and enter themselves for consideration. Artists must meet the eligibility requirements stated on the official MAMA website to be considered in their chosen award categories. Special eligibility, registration and submission rules apply for the youth award categories. See the special youth awards eligibility and voting rules. Artists and fans alike take part in a participatory process of choosing the nominees in the first voting round. Write-in votes are cast for several categories during the registration period, resulting in a list of choices for the first voting round. The highest vote-getters in the first round are the Nominees that move to the final round where the MAMA members vote for their choices for winners. Membership is required for all MAMA voting, which is open to the public. Membership requires a five dollar donation that is segregated from other funds and goes directly to the MAMAs charitable recipients. What is the Madison Area Music Association (MAMA)? What is the MAMA Awards Show? The MAMA Awards is an annual show that brings together hundreds of area musicians and community members in a celebration of the Madison-area music scene. During the show, local musicians perform and awards are given to area musicians and music educators. The 2016 MAMA Awards show is scheduled for Sunday, June 19th, in the Capitol Theater of the Overture Center. The awards show is open to the general public. You do not have to be a MAMA member or award nominee to attend. Tickets are available through the Overture Center Box office, usually starting 4-6 weeks before the show. How can I be considered for a MAMA Award? Musicians need to register to be a MAMA member (see timeline below for registration window) to be considered for awards in over 60 different categories and 14 different genres, including Song, Album, and Performer of the Year. Registration requires an annual $5 donation to the MAMA charitable mission. * Registration can be completed through the MAMA website. *Musicians under the age of 19 can register for free as youth musicians. See section below on Youth Awards. How are MAMA Award winners selected? Winners are selected by public vote with two rounds of voting. ** MAMA works with Broadjam (to read more about Broadjam, please see section on Broadjam below) as a collaborative partner to administer the vote. During registration, artists will need to create a profile on Broadjam.com. An artist’s profile has general information on the artist (e.g. name, bio, genre of music) and can include samples of music and video, as well as photographs. This enables voters to evaluate the artists who are being considered for awards. The 4 artists receiving the highest number of votes in each category the first round will advance to the final round of voting. **Youth musician winners are selected by committee, not by public vote. What are the different categories/genres of awards? Song, Album and Performer of the Year awards are given for the following musical genres: Alternative, Blues, Children’s, Classical, Country/Bluegrass, Electronic, Folk/Americana, Hard Rock/Punk, Hip-Hop, Jazz, Pop/R&B, Rock, Unique and World. A “Performer of the Year” category also exists for cover bands. Awards that are non-genre specific (meaning, open to all, regardless of their musical genre) include Artist of the Year, New Artist of the Year, Vocalist of the Year (Male, Female and Ensemble), as well as the “write-in”/People’s Choice Award categories. What Are Write-in Categories/People's Choice Awards? The People’s Choice or “write-in awards” are just what the name implies: voters simply “write in” the name of the person/organization to be considered and the public votes on these names. For example, when a voter logs in to vote in the first round of the MAMA Awards, she could write in the name of her favorite venue under “Local Live Music Venue of the Year” and that venue would appear on the ballot for the first round vote. The venue would not have to register as a MAMA member and create a profile. People’s Choice Award categories include Local Live Music Venue, Music Fan, Music Publication/Blog, Radio Personality, Music Station, Recorded Music Store, Album Packaging, Photographer, Roadie, Video, DJ, Live Sound Engineer, Producer, Recording Studio, and Studio Sound Engineer. The Instrumentalist of the Year nominees are also write-in/People’s Choice Awards, including Bassist, Brass, Drummer/Percussionist, Guitarist, Keyboardist, Specialty, Strings and Woodwind. What are the geographic eligibility requirements for the MAMA Awards? To be eligible for a MAMA Award, you must have some members of your group living in Dane County or be based in Dane County (a good benchmark for this is having 50% of your band members or 2 of 5, 3 of 7, etc.). Alternatively, if you play a significant amount of performances (around 50% of your gigs), in Dane County you are eligible. Registration is on the honor system. If concerns are brought to our attention regarding an artist’s eligibility, they will be investigated. New Artist of the Year is an award to recognize new talent. The criteria is based on the following: you or your band (1) had your first performance during the award recognition year (for the 2016 awards, that means you first performed in 2015), OR (2) if there were no performances, the artist released a song or album that meets the eligibility requirements (e.g. For the 2016 MAMA Awards, an album/song was released in 2015). Once the voting opens (typically at the end of January), anyone can register to vote through the MAMA website (www.themamas.org) by clicking on the “Awards” tab and making a $5 donation. These small individual donations help MAMA raise approximately $4,000 annually to help fund area youth music initiatives. Voters must select 3 different candidates in each category in the first round of voting. Only one vote is cast per category in the final round. Anyone who registers to vote can cast a vote, but beginning in 2013 artists who register for an award will have their votes weighted. This means that the artists will have significantly more effect on the outcome. This is intended to encourage artists to vote in all categories as their votes carry more weight. Please note, a band that has multiple members will have only one voter as the weighted vote (the member that registered the band). This rule addresses the issue of a band with nine members voting for themselves and having all those votes weighted. An album is defined as a group of songs (three or more) that is released for sale or otherwise available to the public. This would include EPs (Extra-play singles, which refers to releases that usually have only a few songs) but not a CD-single, which we define as being only one or two songs on a single release. Songs from a CD-single would still be eligible in the Song of the Year category. For Album of the Year awards, the release of the album must fall within the eligible year. For the 2016 awards the eligible year is January 1 through December 31, 2015. Songs are only eligible for Song of the Year if they are original works. (In 2011 the MAMA added a Cover Song of the Year category for cover songs. MAMA, Inc. accepts no responsibility for songs that are posted by the artists for consideration and does not represent the submissions in any legal manner or guarantee their copyright status). Songs do not have to be composed in the current year but may not be re-submitted in future years. Yes. An artist can enter any one song into no more than two genres (for example, your song “Hit Song #1” could be entered in to Song of the Year in both the Folk and the Country genres). Also, an artist may have no more than two songs in any one genre. Artists should be aware that entering more than one song into the same genre reduces their odds of advancing to the final round. The same rules apply for Album of the Year. Any one album can only be entered into a maximum of two genres. An artist may have only two albums maximum in any one genre. (This is unlikely since very few artists will release two or more albums in a year – unless you’re Green Day, right?) These rules are known as The Rule of Twos. While we strongly encourage artists to develop the technical skills needed to succeed in the modern music industry, there is a way to do this on paper. Please contact MAMA Award show Executive Producer, Beth at bethkille@hotmail.com in advance of the registration deadline to get the paper forms. You will need email access to complete your registration. What if I don't have any recordings of my work? That can be tricky, but it doesn’t mean you can’t register. If you want to be considered for a Song of the Year award, the voters will likely want to hear that song before they vote for it. You can still register for Performer of the Year in your genre though (e.g. if you’re a country band, you can register your band for Country/Bluegrass Performer of the Year). Also, new artists that don’t have recordings yet can put themselves up for New Artist of the Year. It’s still helpful to have some kind or recording to submit. How do I improve my odds of winning a MAMA? Register for the MAMA Awards! You can’t win an award if you’re not in the running. Make great music and engage your fans/friends/family! Let them know that they need to vote. Leverage your mailing list/social media outlets to get the word out. Let your people know that they are making a donation to a worthy cause when they support you with their vote! Stick with it! It may take a few years for people to recognize your name as an artist, this is just the way the music business rolls. If you don’t win the first year, don’t get discouraged. Don’t compete against yourself by registering two songs in the same category. You dilute your vote if you ask your fans to pick between you and you! What are the Youth Awards? Artists under the age of 19 and still in High School may enter into consideration for the Youth Awards in one of eight instrumental categories (bass, drums and percussion, keyboards, guitar, brass, woodwinds, strings and specialty instrument) as well as male vocalist, female vocalist, ensemble vocalist, youth song and youth album. The geographic area of eligibility is different than that for the awards offered to non-youth participants. 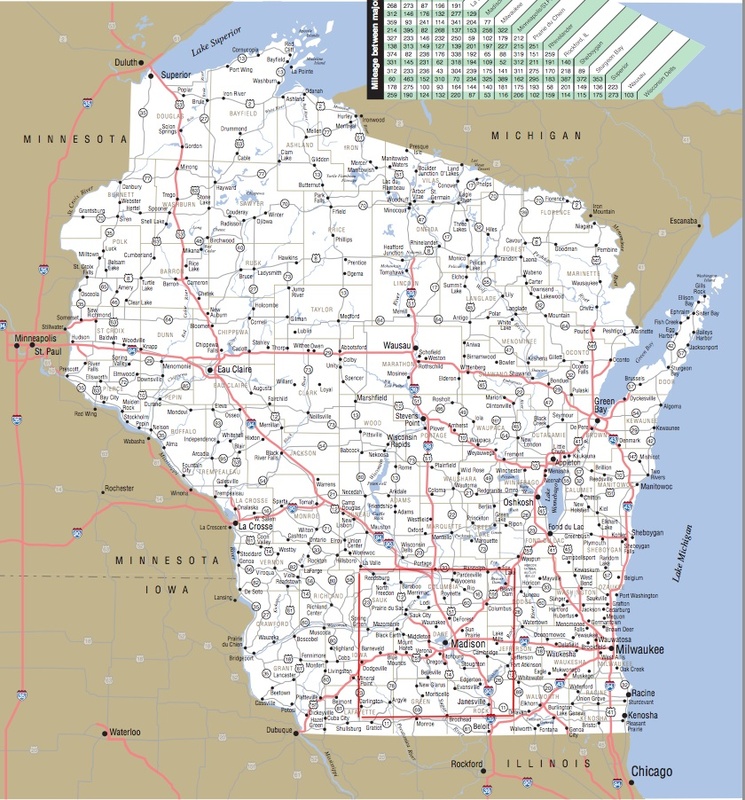 It includes all of Dane county as well as portions of Suak, Columbia, Dodge, Jefferson, Rock, Green, Lafayette and Iowa counties (click here for map). Registration for the youth awards is free. Consequently, those registered as youth artists will not be able to vote for the general award categories. If they do wish to vote they will need to sign up as a general member and donate the $5 membership. Instructors can register their students, or the students can register themselves. Music or video uploads will be required. Voting for the youth awards will be done by committee. MAMA has partnered with the Wisconsin School Music Association (WSMA) for this selection process. Representatives from WSMA will judge all the youth entries and make the selections. Broadjam, Inc. is a worldwide company based out of Madison. To learn more about Broadjam, go to www.broadjam.com. Roy Elkins is the president and founder of Broadjam and came to the MAMAs in 2005 offering assistance. Roy has been instrumental in helping MAMA, Inc. form its new board of directors and is the current chair of the MAMA board. He has offered Broadjam’s services and expertise in the registration/nomination and voting processes for the MAMA Awards. Broadjam administers contests and/or voting for past and present clients including the Academy of Country Music, Country Radio Broadcasters, Yamaha, Dallas Songwriters Association and many others. The mechanisms for running contests and selecting award winners have therefore already been developed by Broadjam and so they are a natural fit for the MAMA Awards. Broadjam’s services are a donation; no profit is being made by Broadjam and no monies are diverted to Broadjam or any of its employees. Broadjam’s security measures are concrete and the board is fully confident of the company’s abilities to meet our goals in upholding the fairness and integrity of the award selections. The Madison area community owes a huge debt of gratitude to Broadjam for their commitment to MAMA and to funding music programs. How can I get involved by volunteering for the MAMAs? The MAMA is a small, volunteer-run organization with an incredibly tall task and welcomes anyone dedicated to the advancement of our mission. To volunteer, send us an email to info@themamas.org. How do I make a financial contribution to MAMA, Inc.? If you would like to make a financial contribution to the MAMA, apart from becoming a member or registering/nominating, click here. MAMA, Inc. is a charitable organization under section 501(c)(3) of the Internal Revenue Code. All contributions are eligible for tax deduction. You’ll want to consult with your tax advisor as to specific deductibility for your individual situation. We accept musical instruments in good working order as well as cash contributions.